Eating your vegetables is one of the best ways to stay healthy and well nourished. Vegetables provide so many vitamins and minerals; they really should be eaten more often! Did you know that onions, garlic, brussel sprouts, cabbage, kale, and turnips are rich with sulfur? Sulfur is needed to make protein for strong hair. Silicon, found in alfalfa, beets, bell peppers, and leafy greens, is needed for hair growth and formation. Beets, broccoli, garlic, radishes, and green leafy vegetables, are full of copper, which works with zinc to maintain healthy hair growth. 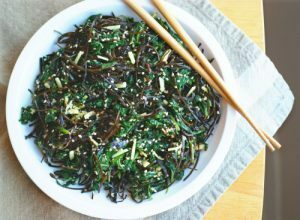 these sea vegetables, such as spirulina, kelp, wakame, and even the most familiar sea plant, nori, at your local health store! When used externally, sea vegetables help create thicker and stronger hair with their natural proteins and minerals. You will immediately notice thicker glossier hair when using hair care products that contain these vegetables. 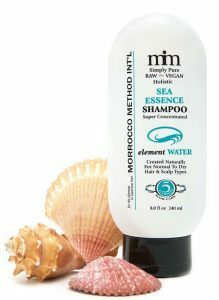 Nearly all Morrocco Method products contain a wide variety of ocean plants, giving your hair that extra boost of nutrition every time you use them. 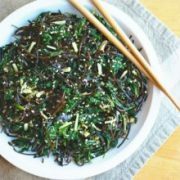 So, if your hair is thin, comes out in clumps, or you just want to beautify it, try adding sea vegetables to your diet and hair care routine for some magical results!